Many of my former patients and friends in the NHS are surprised and a little puzzled when I tell them I am representing NHS England at the Paris talks on addressing climate change. “What’s that got to do with health?” is the common response. When it comes to climate change and health, it is the same issue but on a much bigger scale. The risks of climate change present numerous challenges to the health system whether through direct effects such as air pollution, extreme weather events or through indirect impacts such as food scarcity, vector borne diseases, migration and economic risks. These risks do not just impact on those in the developing world but affect every one of us now and will do more in the future. However, as the Lancet commission reported this year, the opportunities for health improvement – if we energetically tackle climate change and related resource issues – are enormous. It is these so called health co-benefits which also inspire and motivate me to address this complex and challenging problem. So, just imagine if we got it right in Paris – the world would be committed and united in tackling greenhouse gas emissions from whatever source. This would result in well insulated homes for all with an end to fuel poverty. Air pollution would decrease with immediate benefits for a range of respiratory and cardiovascular conditions. Active travel would be a natural part of our lives resulting in much less inactivity and multiple health wins. Sustainable agriculture on a planetary scale could yield great health benefits as well as improving animal welfare and protecting our wonderful biodiversity. Soil health would improve leading to greater long term food security and improve flood prevention and water cycle management. Energy generation would be much cleaner and cause less local pollution and health impacts for workers. It would also be cheaper in due course and more secure. So, what’s not to like as they say – I will be pressing the case for urgent change and emphasising the many benefits to our health and wellbeing. Follow updates on the Climate Change conference in Paris through Caroline’s Twitter account. 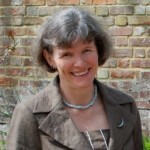 Dr Caroline Jessel is the Regional Lead for Sustainability and Health for NHS England, South. She has been a GP for 30 years in Kent and has always had a strong interest in the relationship between the environment and health. She also works for the Kent and Medway area team as Clinical Strategy Lead responsible for facilitating all NHS organisations in the county to develop safe, sustainable and effective services. She is a member of the Kent Surrey and Sussex Clinical Senate Council and supports the Strategic Clinical Networks in the region. Caroline has led the development of the Sustainable Surgery Award Scheme, piloted in Kent and she is co-chair of the Kent Nature Partnership.